The main construction work at Morpeth’s new town centre retail development has now been completed and internal fit out work is underway - ready for the new stores to open in August and September. The company behind the award winning Sanderson Arcade shopping centre, Dransfield Properties Ltd, is delivering the new £7 million town centre development which is transforming the former Morrisons store on a key site in the town centre. 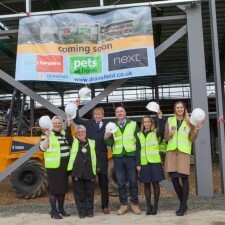 Home Bargains, Pets at Home and Next are all now fitting out ready to open their doors to shoppers at the development which is delivering 40,000 sq. ft. of new retail space in the town centre and creating 100 new jobs. The new 8,900 sq. 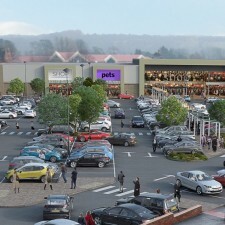 ft. Pets at Home store will open on Friday 12th August and will house a Grooming Parlour and Veterinary practice as well as the ground floor retail store. Next will occupy 20,000 sq. ft. over two floors – their fit out team moved on to site this week and the brand new store will open around September 20th. Home Bargains have also started work on their store which is due to open on August 27th. 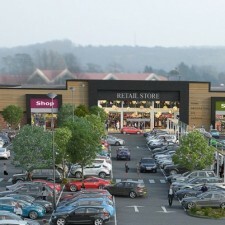 As well as bringing a new retail line-up to the town the new development has also created the opportunity for two local companies – The Morpeth Larder and SA Taxis - to expand. The SA Taxis office has been relocated to a brand new purpose built office in the car park and the popular Morpeth Larder has also been extended internally and a stunning new al fresco dining area has been created which is now open to diners. 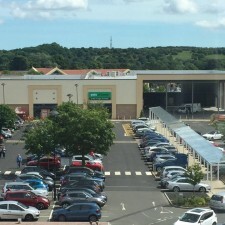 The new development has also delivered improvements to the town centre car park layout and a new glazed walkway canopy for shoppers linking the development with the other town centre stores and facilities. Managing Director of Dransfield Properties, Mark Dransfield, said: “We are delighted to see the fit out teams moving on to site now ready for the stores to open in August and September.